The Securities and Exchange Commission (SEC) has repealed Rule 505 under Regulation D, effective May 22, 2017. What is Rule 505, you might ask? Exactly. Rule 505 has been an exemption from the registration requirements of the Securities Act of 1933, as amended (the "Securities Act") upon which virtually nobody has relied. And now it will soon be gone. Overwhelmingly, issuers conducting private placements of securities have relied upon Rule 506 as the preferred exemption from the registration requirements under the Securities Act. Why? Because there are no dollar limits on the amounts that can be raised under Rule 506. And because relying on Rule 506 has meant that state-level securities registration requirements were preempted. And if the issuer sold securities exclusively to accredited investors, there were no information disclosure requirements necessitating the preparation of a detailed private placement memorandum. Hence, Rule 506 offerings are generally quicker, easier, and less costly than a Rule 505 offering. According to the SEC's final rule release abolishing Rule 505 (SEC Release 33-10238), less than 3% of the 132,091 Form Ds filed from 2009 to 2015 reporting private placements conducted under Regulation D were made in reliance on Rule 505. And only 1.2% of the Form Ds in the study reported offerings exclusively under Rule 505 (as opposed to 1.7% of the offerings relying upon Rule 505 in addition to other rules under Regulation D). In fact, in 2015, less than 1% of all new Regulation D offerings claimed an exemption under Rule 505. And because Regulation 505 offerings are required by rule to be no more than $5 million in any 12 month period, the offerings have been smaller dollar-sized offerings, and thus Rule's 505 overall impact on our capital markets has been quite minor. Securities offerings under Rule 504 and Rule 505 collectively accounted for less than 0.1% of all capital raised in Regulation D offerings from 2009 to 2015, according to the SEC release. In the same SEC final rule release, the SEC expanded the dollar limit for private placements made in reliance on Rule 504 in any 12 month period from $1 million to $5 million. With that change, the SEC felt reliance on Rule 505 had become even less attractive to potential issuers of securities - so much so that Rule 505 had become obsolete. So Rule 505 will soon be abolished. So long, Rule 505 - we barely knew ya'! Special thanks to Fort Worth, Texas magazine for including me on their annual list of Top Attorneys for the third straight year. I was among those honored in the Corporate Finance/Mergers and Acquisitions category. The reception for award winners at the Fort Worth Club was a blast, as usual. What could be more fun than a night out with attorneys?! Thanks to FW inc. ("Greater Fort Worth's Premier Business Magazine") for publishing an article I wrote on preparing to sell your business. The article is available here. A couple of weeks ago, I had the honor of speaking to the TCU MBA Entrepreneurship Boot Camp event hosted by the TCU MBA Graduate Entrepreneurship Organization (GEO). Specifically, I presented "Choosing the Right Entity for your Start-Up Business" to a group of bright and talented MBA students who were very engaged and asked a lot of great questions. The GEO and its chairman, Eric Coulter, put on a terrific event and really made me feel welcome at the TCU Neeley School of Business. The future of entrepreneurship in North Texas appears to be in great hands! Identical or Deceptively Similar Entity Names in Texas - A Change For the Better? Among the corporate law changes enacted by the 2015 Texas Legislature is a new requirement that consents to use similar entity names must now be notarized prior to filing. The Texas Business Organizations Code (TBOC) prohibits each Texas entity (and each out-of-state entity registering to do business in Texas) from having a name that is the same as, or deceptively similar to, an existing Texas entity (or an existing out-of-state entity registered to do business in Texas). Texas law has long recognized an exception to that rule if the existing entity consented to the use of a similar name in writing. Under the amended law, a consent to use a similar name must be notarized and filed with the Texas Secretary of State. This change impacted Section 5.053, 5.102 and 5.153 of the TBOC. According to the bill's author, the purpose of this change was to protect existing Texas companies from new entities who might forge documents claiming that they have the consent of the existing entity to the use of a similar name when in fact no consent has been given. While I agree that the notarization requirement does make it more difficult for a new entity to forge and file a consent to the use of a similar name, I am skeptical that this change in law was actually necessary or an improvement on existing law. I have not heard or read about an epidemic of Texas companies who have suffered forged consents to the use of similar names. And existing law already made it a crime for a party to file an instrument known to be materially false with the Texas Secretary of State's office. Section 4.008 of the TBOC makes such a false filing a Class A misdemeanor - unless the offender had the intent to defraud or harm another, in which case the offense is a felony. The bill's author acknowledged in the Bill Analysis submitted with this bill that a forgery is a crime, but argues that a forgery victim "likely will have a difficult time convincing a law enforcement agency to prosecute the crime." That may well be the case - our law enforcement officials may choose to employ their limited resources in prosecuting other crimes. But Section 4.007 of the TBOC already grants forgery victims a private right of action against any party who signs or files a forged document in violation of Section 4.008 of the TBOC. The new notary requirement will add a layer of administrative hassle to both new entities requesting consents and existing entities granting consents. I can imagine a scenario where an existing entity might be willing to grant its consent, but not at the cost of locating and engaging a notary to witness a consent signing. Nonetheless, the notary requirement is now law in Texas. Thanks to the Fort Worth Business Press for publishing an article I wrote on Texas companies who have successfully used the SEC's new Regulation Crowdfunding rules to raise capital via equity crowdfunding. The article is available here. Are we living in the Golden Age of the two step tender offer acquisition technique? Probably so - last year, the process got a whole lot easier for buyers seeking to acquire publicly traded M&A targets incorporated in Texas. What is Two Step Tender Offer? (2) propose a tender offer - in which case the buyer offers to buy at least a majority of the Target's shares (STEP 1); followed by a "squeeze-out" merger in which a successful vote of the Target shareholders is already assured (because that was the minimum number of shares purchased in the tender offer) (STEP 2). Historically, both the Delaware corporate law (Section 253 of the Delaware General Corporation Law (DGCL)) and Texas corporate law (Section 10.006 of the Texas Business Organizations Code (TBOC)) required that the buyer acquire at lease 90% of the Target shares after the tender offer in order to enter into a short-form merger. Qualifying for short-from merger treatment was important because the short-form merger did not require a vote of the Target shareholders. It was presumed that such a vote would be meaningless because 90% of the shareholders would doubtlessly vote to approve the merger. Shareholder merger votes cost time and money because state corporate law and SEC proxy voting rules require the preparation or a detailed disclosure document, an SEC review, and distribution of the disclosure document to the Target's shareholders. Eventually, Delaware realized that a merger vote by the Target's shareholders would be equally meaningless if the buyer acquired at least a majority of the Target shares (or whatever the minimum number of shares otherwise necessary to approve a long-form merger under the DGCL and the corporation's certificate of incorporation). So in 2013, Delaware adopted a new subsection (h) to Section 251 of the DGCL which permits the buyer to merge with a publicly traded Target (or a Target with more than 2,000 shareholders) following a tender offer under certain conditions. Effective September 1, 2015, the State of Texas adopted new sub-sections (c), (d) and (e) to Section 21.459 of the TBOC, thereby granting public companies formed in Texas the right to merge without a shareholder vote following a successful tender offer. The (relatively) new Texas rule is substantially similar to Section 251(h) of the DGCL. Why do buyers like Two Step Tender Offers? Simply put, a two step tender offer is a whole lot faster and cheaper than an acquisition via a traditional one-step merger, especially when the buyer is paying cash (rather than stock) to the Target's shareholders. This is because the SEC review process is generally more limited and more expedited for a tender offer than it is for a one-step merger. According to a recent a survey conducted by the M&A Market Trends Subcommittee of the Mergers & Acquisitions Committee of the Business Law Section of the American Bar Association (ABA), from the announcement of a public M&A deal until the closing of the deal, the average cash tender offer takes 49 days, the average stock tender offer takes 54 days, the average cash merger takes 129, and the average stock merger takes 199 days. (Thanks to Richard E. Climan, Joel I. Greenberg, and Claudia K. Simon for providing the survey data in a recent webcast sponsored by the ABA). What are the requirements to use the Two Step Tender Offer? Each outstanding share of the Target not purchased in the tender offer must be converted or exchanged in the merger into the same consideration as those selling in the tender offer. Kudos to the Texas Legislature for following Delaware's lead in modernizing the two step tender offer rules for Texas Targets. Effective May 16, 2016, the United States Securities and Exchange Commission (SEC) has adopted rules permitting private companies to offer and sell shares of their stock and other securities via crowdfunding. The SEC’s new rules, named “Regulation Crowdfunding,” permit companies to raise up to one million dollars per year through crowdfunding. Crowdfunding means raising capital in small amounts from a large number of investors, typically over the internet. The concept has been around for years, with companies using websites like Kickstarter, Indiegogo, or GoFundMe to raise funds for all sorts of projects, such as new technologies, movies, music, or any other sort of project one might imagine. Proponents of crowdfunding cite the “wisdom of crowds” to support the notion that if a large number enough number of people were willing to financially support a project through crowdfunding, it was likely that there would be support for the finished product of the project as well. Investors in such projects historically received some sort of reward for participating in the crowdfunding effort, such as a t-shirt, or a role in the movie being produced, a free copy of the finished product, or at least a discount on its purchase price of the finished product. Prior to the adoption of Regulation Crowdfunding, however, a company generally could not legally offer stock to crowdfunding investors because to do so would be conducting an unregistered public offering of securities, which was prohibited by state and federal securities laws. Conducting a registered offering of securities is expensive and time consuming, and therefore is not a practical solution for smaller projects seeking crowdfunding support. Annual company limit. A company may raise up to $1,000,000 via crowdfunding in any 12-month period. If the investor has both an annual income and a net worth of $100,000 or more, then the investor’s annual investment limit is equal to 10% of the lesser of the investor’s annual income or the investor’s net worth. Crowdfunding platform required. A company must conduct crowdfunding offerings only through a single intermediary that maintains a crowdfunding platform registered with the SEC. Offering disclosure requirements. A company conducting a crowdfunding offering must file a new form adopted by the SEC called a Form C. The Form C is required to provide potential investors and the SEC with information about the company, the company’s officers, directors and promotors, the company’s financial performance, the securities offered, and the offering itself. The disclosure must include the minimum and maximum dollar amount of securities offered via crowdfunding and risks involved in making the investment. Ongoing reporting requirements. After completing a crowdfunding offering, a company is required to file an annual report with the SEC which includes financial statements. If the company has had its financial statements reviewed or audited by a CPA, it must file those reviewed or audited financial statements. Advertising limited. A company is not permitted to advertise its crowdfunding offering, but the company is permitted to advertise a simple notice of the offering directing investors to the company’s crowdfunding platform. The notice must be limited to factual information about the company and the crowdfunding offering and may include a brief description of the company’s business. Promotor compensation. A company is permitted to compensate promotors of the crowdfunding offering, but any such compensation must be disclosed to potential investors in connection with the promotion of the offering. Resale restrictions. Securities purchased in a crowdfunding offering generally may not be re-sold or otherwise transferred by investors during the first 12 months after their investment. Bad actor disqualifications. A company is generally not permitted to conduct crowdfunding offerings if the company or any of its officers, directors, substantial shareholders, promotors or affiliates have been involved in any disqualifying events, such as regulatory bans from participation in the banking or securities industries or felony convictions related to past securities industry activities. Crowdfunding platform mechanics. A company must file its Form C with the SEC and make it available to potential investors through their crowdfunding platform at least 21 days before selling any securities and at all times during the offering. The crowdfunding platform must provide a communication channel which permits potential investors to communicate with each other and with the company. The crowdfunding platform must be operated by a registered broker-dealer or it must maintain an escrow account for investor funds with a broker-dealer, bank or credit union. The company must identify a deadline for cancelling an investment in its offering materials and grant investors the right to cancel their investment. The cancellation right generally expires 48 hours prior to the deadline unless there is a material change to the offering. If the company does meet receive the minimum amount of investments by the deadline or the offering otherwise is not completed, the platform must return any investor funds received. The SEC hopes that Regulation Crowdfunding will open up new opportunities for small business to access capital. Time will tell if companies and investors determine the new regulations meet their capital and investment needs. I doubt that comments from SEC Commissioners are often dubbed "witty," but Commissioner Daniel M. Gallagher had a real zinger in connection with the SEC's adoption of pay ratio rules last year. As a bit of background, among the many half-baked ideas in the Dodd-Frank Act of 2010 was the requirement that the SEC adopt rules requiring public companies to disclose the median annual compensation of all employees of the company (excluding the Chief Executive Officer) as well as the ratio of the median salary to the total compensation of the CEO. Of course, this disclosure would be virtually meaningless to any rational investor. The sole goal of this new disclosure requirement was to try to embarrass CEOs by making their compensation appear unreasonably high when compared to rank-and-file employees. Did you think the goal of the SEC disclosure regime was to inform shareholders so that they can make rational investment decisions? So did I, but apparently the 111th Congress of the United States, which passed the Dodd-Frank Act, disagreed. Anyway, the SEC was tasked with coming up with regulations to implement Dodd-Frank's disclosure requirement. The task of determining the median annual compensation of employees was not as easy as it might initially seem. What about part-time workers? Seasonal workers? Non-U.S. based workers? What about employees with different cost-of-living circumstances? Etc. Ultimately, the SEC passed a controversial set of rules by a 3-2 vote, which included part-time and foreign workers in the median compensation calculation. At the meeting in which the vote was taken, Commissioner Gallagher objected to the adoption of the rule, noting that the disclosure was outside the SEC's core mission, and explaining that since the SEC was required to adopt the rule, he would have at least used the SEC's definitional and interpretive authority to limit the phrase "all employees" in the Dodd-Frank Act to full-time, U.S. based workers. And here's the part I really like. Commissioner Gallagher described his proposed disclosure rule as "marginally less useless" than the rule the SEC ultimately adopted. Classic. I had the honor of introducing Commissioner Gallagher at the 2015 UT-CLE Conference on Securities Regulation and Business Law, and I can confirm that his prepared remarks were as thoughtful as his comment of pay ratio rules was witty. The SEC's Regulation Crowdfunding sets forth the rules pursuant to which companies may raise capital through the SEC's equity crowdfunding exemption. One of those rules sets limits on the amount of crowdfunding investments by any one investor in crowdfunding offerings (by all companies conducting crowdfunding offerings) in any 12-month period. I have developed a handy calculator for determining the investment amount limit for a particular equity crowdfunding investor based upon their income, net worth, and prior crowdfunding investments in the past 12-months. Feel free to contact me if you'd like a copy of the investment limit calculator. Equity Crowdfunding under Federal Law has Arrived! It's finally here. Four years after the JOBS Act of 2012 was signed into law which required the SEC to adopt rules permitting equity crowdfunding, the SEC's final rules titled "Regulation Crowdfunding" have gone effective. Effective May 16, 2016, U.S. companies may now offer and sell shares of stock and other securities via crowdfunding and qualify for an exemption from securities registration requirements under Section 4(a)(6) of the Securities Act of 1933, as amended. I'm still wading through the SEC's 685-page final rule release adopting Regulation Crowdfunding, which is available here. I plan to blog about this matter further in the coming days, but in the meantime, you can read "Regulation Crowdfunding: A Small Entity Compliance Guide for Issuers" written by the SEC, which is available here. Here's a Little Known Fact about an advantage of operating as a limited liability company (LLC) in Texas. LLC's are not subject to Section 38.001 of the Texas Civil Practice and Remedies Code, which permits statutory recovery of reasonable attorney's fees from individuals and corporations for certain claims, including claims for an oral or written contract. (8) an oral or written contract." A 2014 case decided by the Houston Court of Appeals (Fleming v. Barton) has confirmed that the statute means what it says - that only individuals and corporations (not LLCs, limited partnerships (LPs), limited liability partnerships (LLPs) and other entities) may be liable under Section 38.001. Relying upon the plain language of the statute, that court denied a claim for legal fees under Section 38.001 against Fleming & Associates, L.L.P. because it was a limited liability partnership. But wait a second, why wouldn't a limited liability company, limited liability partnership, or limited partnership who lost a breach of contract lawsuit face the same liability as a natural person or a corporation that was guilty of the exact same breach? It arises as a quirk of Texas's statutory codification process. When the Civil Practice and Remedies Code was adopted in 1986, it replaced the existing Article 2226 of the Texas Revised Civil Statutes, which permitted recovery of legal fees against “a person or corporation.” The then-recently adopted Texas Code Construction Act had defined "person" broadly to include any legal entity, including governmental entities. So in seeking to avoid substantive changes to Article 2226, the drafters chose the word "individual" instead of "person" to clarify that governmental entities could not be subject to liability under Section 38.001. This strikes me as a great area of the law for the Texas legislature to step in and clarify that LLCs, LPs, LLPs, and other business entities (perhaps excluding governmental entities) should face the same liability under Section 38.001 as individuals and corporations. 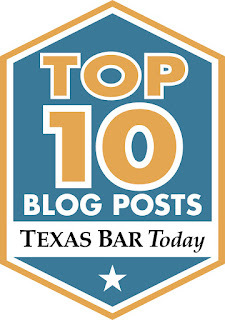 Note that the issue discussed above relates only to statutory attorney's fees provided for by Section 38.001 of the Texas Civil Practice and Remedies Code. Nothing in that section prevents an LLC or other entity to agreeing to cover another party's attorney's fees pursuant to a contract. Does Big Board = Big Problem for Texas LLC? Texas limited liability companies have tremendous flexibility in choosing how they may be governed. That can be a blessing and a curse. Let me explain. member(s) approval might be required for major decisions, such as entering into a merger, accepting a new member, or amending the company agreement. LLCs often seek to establish a Board of Managers which would be analogous to a Board of Directors of a corporation. In that case, it is not unusual for the LLC's company agreement to provide that no individual manager has the power or authority to bind the company (much like a single director of a corporation with multiple directors would not be able to bind the corporation). Such a provision would be effective to deny any particular manger the actual authority to bind the company. But might a rogue manager nonetheless have apparent authority to bind the LLC? Probably so. Recall that a manager-managed Texas LLC must identify its initial managers in its certificate of formation. So the world would be on notice as to the identity of the mangers - but not necessarily the scope of their authority, which in this example is limited by the company agreement which is not publicly filed. The default presumption under the Texas Limited Liability Company Law is that a manager is an agent that may bind the LLC (see Section 101.254 of the Texas Business Organizations Code). Bottom line, a Texas LLC has at least some risk that a rogue manager might act without actual authority (but with apparent authority) to bind the company. That's a risk a Texas corporation does not face - a director of a corporation generally does not have apparent authority to bind a corporation because corporations generally act through their officers, not their directors. Thanks to Allen Sparkman for highlighting this issue in a paper he presented to the UT-CLE Securities Regulation and Business Law Conference. Thanks to Fort Worth Business for publishing my M&A article on its website here. In the article, I use Eagles lyrics as a jumping off point to discuss key lessons for folks involved in merger or acquisition transactions. The best part of writing the article was spending an afternoon listening to Eagles Radio on Pandora to "research" this project. I hope you have as much fun reading it as I did writing it. Rest in Peace(ful Easy Feeling), Glenn Frey. Bad news for the paper industry and for those of you still filing your Uniform Commercial Code (UCC) financing statements by paper - the State of Delaware is no longer accepting paper UCC filings. Effective December 1, 2015, a person wishing to make a UCC filing with the Delaware Secretary of State's office must now either file electronically or deliver its paper UCC filing to an "Authorized UCC Filer" who in turn will file the UCC electronically. For those of you still wedded to pen and paper, you can access a list of Delaware Authorized UCC Filers here. If you are headed to the beach, you might consider taking along the Delaware Secretary of State's complete administrative rules which are available here. Today I had the pleasure of being a guest on TECH Talk - TEXAS Style radio podcast sponsored by TECH Fort Worth and hosted by Sarah Zink. Today's topic was Real Estate Leasing Essentials for your Small Business. We discussed some of the key issues small business's should be aware of before entering into a commercial real estate lease agreement. This was my third time as a guest on this program. On my first appearance we discussed "What to Know When Selling Your Business." My second appearance covered similar territory with "10 Things You Should Know Before Selling Your Business." All three radio podcasts are available for your listening pleasure at TECH Talk - TEXAS Style's homepage on Blog Talk Radio's website here.